Winterset is the home of John Wayne, and is located between the covered bridges immortalized in a Robert James Waller novel. The tourism has dried up in the decade-plus since the film came out, and the town isn't touched by commuters from Des Moines as often as its location would lead you to believe. 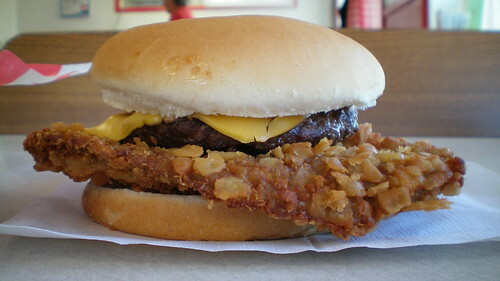 It is home to a former one-stop diner and gas station on the south side of town. 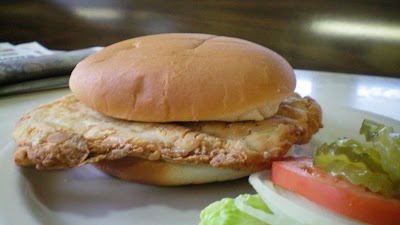 The Starlight Cafe does not impress from outside, but has a worthy tenderloin to give its customers. 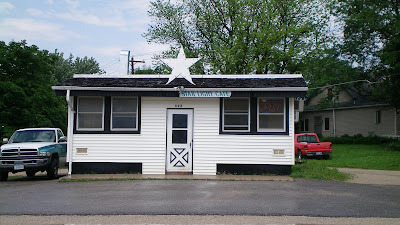 Location: 422 South 1st St. in Winterset, in Madison County, about 30 miles from Des Moines. 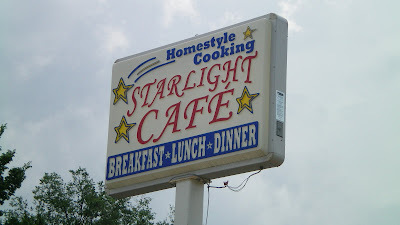 Directions: The Starlight Cafe is on the main north-south road through the middle of town. 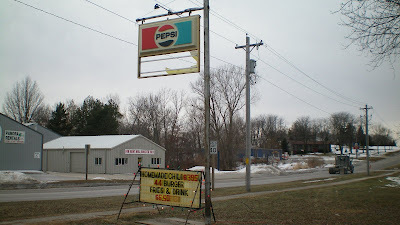 Its behind some buildings but the sign is visible from the road. 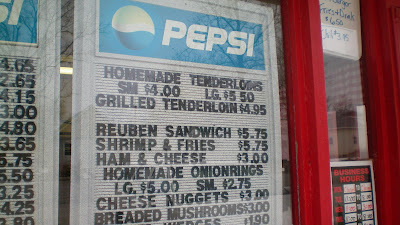 Price: $4.99 for the sandwich with whatever fixings you choose. 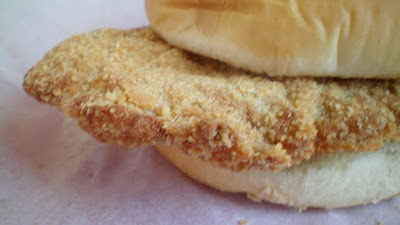 Service: a single lady took my order and fixed the tenderloin herself. 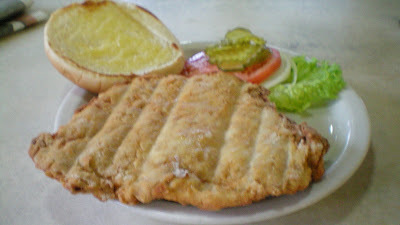 Also on the menu: a full breakfast menu, homemade mashed potatoes, fried chicken, sandwiches and ice cream. Ambiance: The inside is a small and cramped area with booths and a dining counter, ancient furniture is too big for the small dining area. The wood-panelling is old and there is a crooked feel to the building. A toy shotgun on the wall reminds you this is John Wayne's hometown. 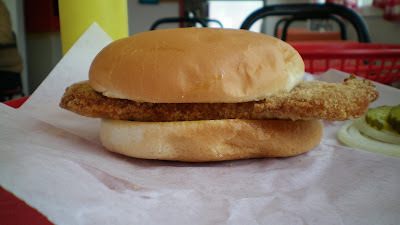 Final Thoughts: This is a roadside dive with some good food served inside. 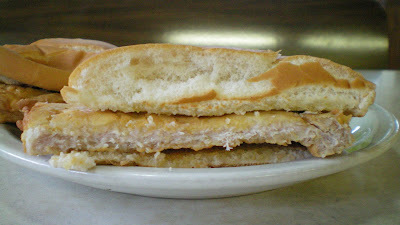 Its been in operation since 1946, the dining area was once even smaller. 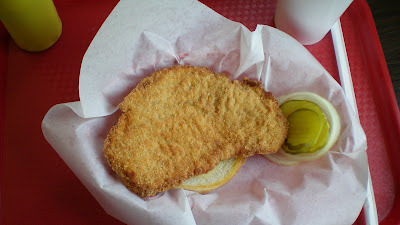 This place is worth seeking out on the south end of Winterset.